People from all over the world flocked to Rutherglen during the Gold Rush for just that, gold. 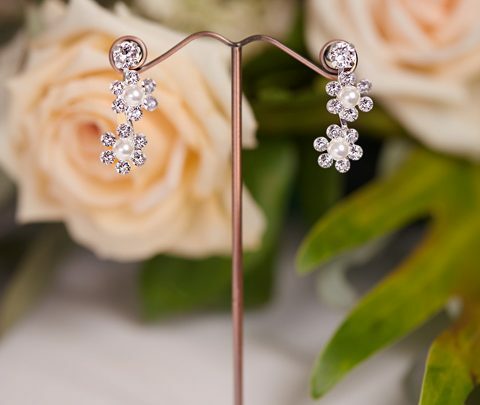 So why not go with a modern twist on tradition with the Rutherglen Bridal Earrings. A leaf inspired stud with a pearl drop for a teeny bit of drama. Gold flowed through the streets of Rutherglen in 1860. Tens of thousands of people made their way to this Victorian town in the hopes of striking it lucky! 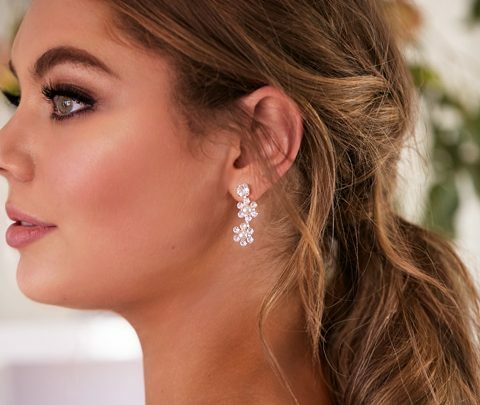 Wear the Rutherglen Bridal Earrings passing on the good luck and fortune of this great town to your new marriage. 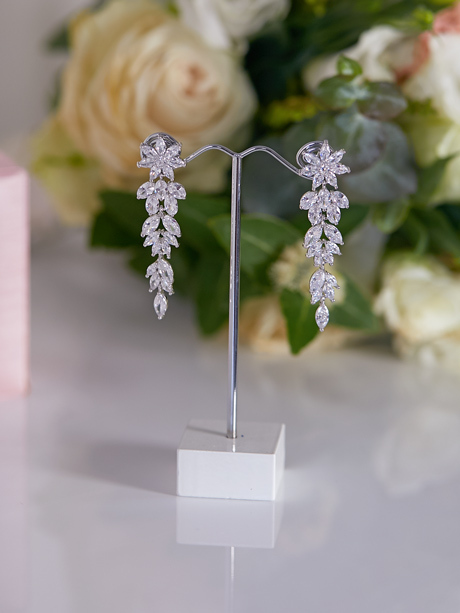 A classic earring that can compliment a larger feature necklace or can carry its self on its own. With a Swarovski pearl drop for that touch of glamour. These beautiful drop pearl earrings will become a classic staple for your jewellery box. To view this wedding jewellery in person come visit or showroom in Melbourne. Packaging Wedding earrings in our signature pink silk Hello Lovers box. Are you bold? Daring? Want to step outside of the box? Take a look at the matching Rutherglen Bridal Necklace. The beauty of this stunning necklace has to be seen to be believed. Also Hello Lovers wedding dresses.